David Siller would be your best friend if you were together in the woods. If you became lost for days or weeks, theres a good chance you wouldn't only survive, you would be healthier than when you started. At any given moment in the woods just outside of Philadelphia, David can spot several wild edibles. Nutrient-rich, wild plants that couldn't be any more fresh. 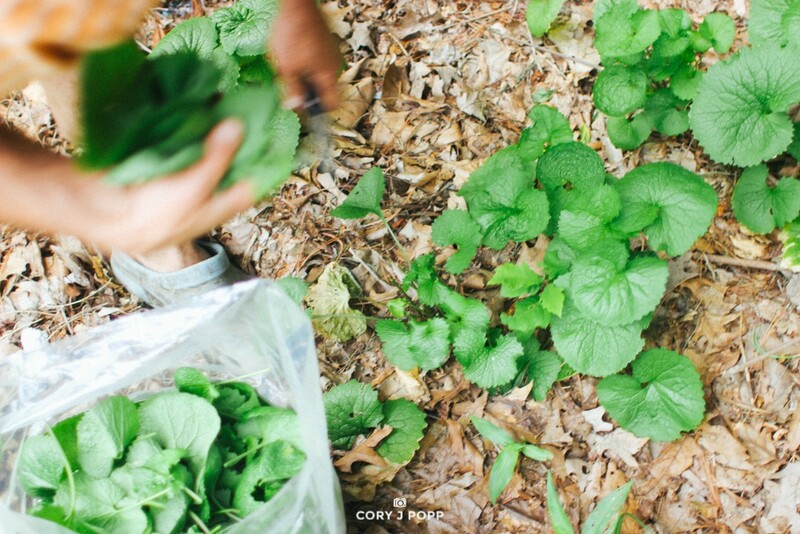 David Siller is a professional forager, and he says people walk by edible plants all the time. Most people either don't know what's edible or they just don't see what David sees. He makes his living finding and harvesting what's left untouched by others, and brings it to high-end restaurants in Philadelphia like Monk Cafe and Fork. David harvests dozens of wild plants throughout the year, things like ramps, fiddleheads, watercress, wineberries, bergamot, spicebush, shoots, nettles, and anything else that restaurants might be interested in using for a dish. If you're in the woods and happen to see a guy with a knife, a pair of crocks and a smile, it's probably just David collecting wineberries.